Who says that being a YouTuber does not pay its dues? 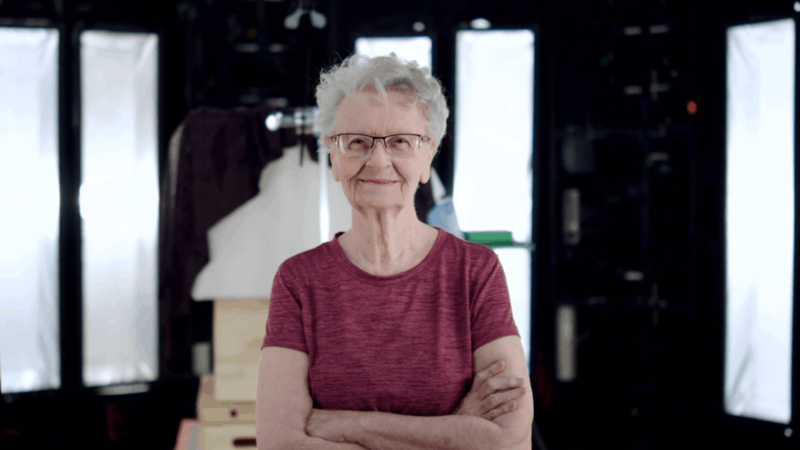 Shirley Currey, an 82-year-old gamer who is affectionately known by the YouTube community as “Skyrim Grandma”, will be appearing as a non-playable character (NPC) in Bethesda’s upcoming Elder Scrolls title. Curry currently boasts around 500 000 subscribers on her YouTube channel. There, she lovingly plays The Elder Scrolls V: Skyrim. In her play sessions, she often starts and finishes random quests, but also loves to roleplay as a travelling merchant. As a merchant, her motive is to sell the treasures and wares that she finds while exploring. A noble cause! As it turns out, having half a million fans is nothing to scoff at. She left a comment on one of her videos discussing Bethesda Softworks’ recent announcement that a sixth Elder Scrolls game would come out in the future. 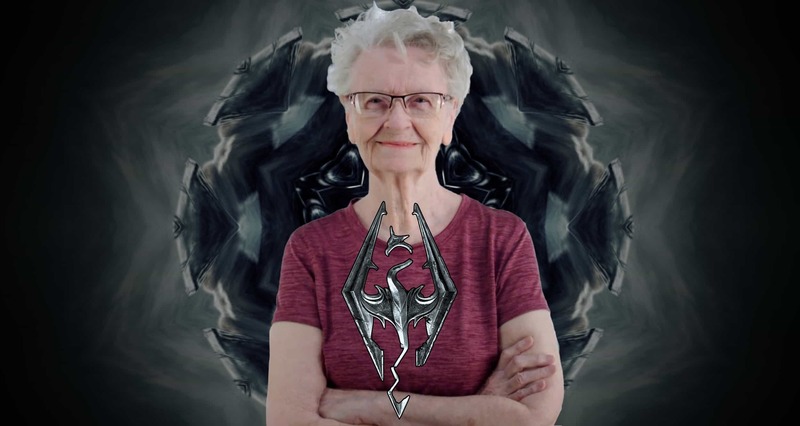 She jokingly stated that it “puts the nail in [her] coffin” and that she would be 88-years-old when “Skyrim 6 comes out”. As such, she states, she “probably won’t get to play it”. This resulted in her massive fanbase starting a petition! 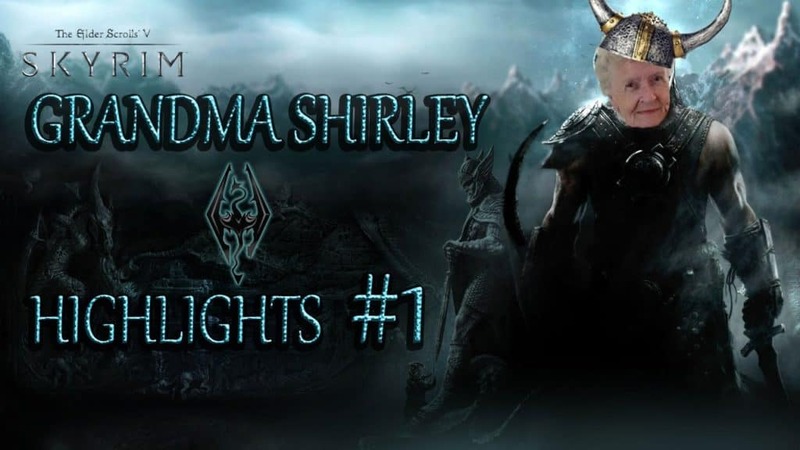 The petition, which can be found on Change.org, demands Skyrim Grandma be immortalised in The Elder Scrolls VI. It asks to turn her likeness into either “an NPC, unique weapon, or location”. 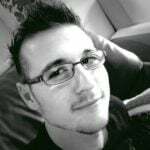 The petition garnered thousands of signatures within days, and has amassed a whopping 40 000 by the time of this writing. It is a well-known fact that Bethesda listens to its millions of fans, whether longtime, new, old, or young. As such, the company announced that the beloved granny would indeed become an NPC in their upcoming title. They revealed the news in the best way imaginable: as part of the 25 Years of The Elder Scrolls anniversary video. The video itself is pretty dang great, to begin with. As an Elder Scrolls fan, I particularly like the insights and celebrations that the video offers. It spans the entire Elder Scrolls franchise, from Daggerfall, all the way through to Skyrim and beyond. Curry makes her Elder Scrolls debut as a fan early on in the video, during a creator montage. However, around the 4-minute mark, many of the key Bethesda staff start to talk about Skyrim Grandma as one of their biggest fans. It then goes on to celebrate all fans of the franchise. You see creators, filmmakers, and just normal gamers having fun with the titles that helped them in some way or another in life. However, right as the video passes the 8:44 mark, the company announces that Skyrim Grandma wills be in the game. In the video, Curry says that it “means a lot” to her. She continues that she “would be extremely happy to know that somebody else was playing with [her] character in a future Elder Scrolls game”. Unlike with random NPC in the game, inserting a real-life likeness into the game goes above and beyond what the Creation Engine can normally do. 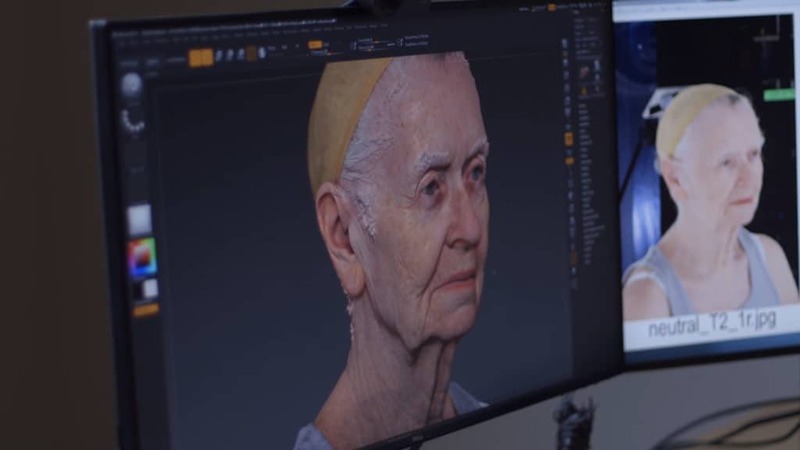 To create Curry’s character, Bethesda will use special photogrammetry technology. The technology scans real-world objects and creates highly detailed 3D models out of them. The studio then painstakingly adds textures to those models, and creates in-engine physics for them, and even builds paths and animations for them depending on what the models are. After the fact, Curry tweeted her appreciation for her fans, and for Bethesda actually going through with it all. She even celebrated having her photo taken with Todd Howard. The Elder Scrolls VI is far from finished, however. The company revealed that they are working on the game, during their 2018 Electronic Entertainment Expo keynote, BE3 2018. As it stands, the game has no official title, except that it is the sixth Elder Scrolls instalment.